The Giants Found in Romania and the CIA Cover-Up..
Everyone has heard of the giant characters of legend, sometimes called cyclops or ogres. 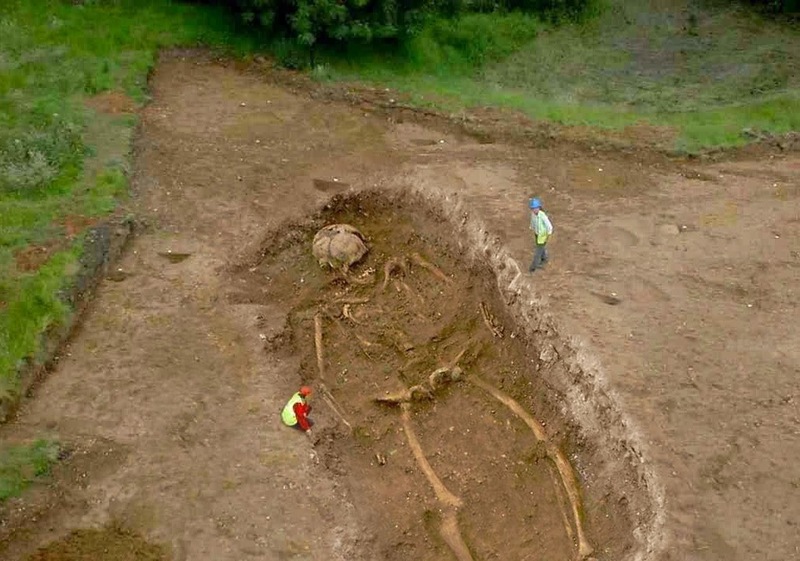 Giants were generally presented as creatures so big that the earth trembled when they walked. In the 1940’s, archaeologists were overseeing a dig at Argedava in Romania, searching for priceless artifacts within the ruins of what was once the greatest citadel of the Dacian leader Burebista. The locals did most of the digging and they were glad to be making a little extra during those times of hardship. This is not an isolated incident. In more recent years, villagers in Scaieni uncovered an ancient giants’ graveyard while planting an apple orchard. Once again, it was the skulls’ giant sizes that puzzled everyone. Alongside the complete skeletons, the villagers also found pottery fragments, jewelry and strange metal statues about 3 feet tall. A team of archaeologists came, dug everything up and vanished. No public statement was made and the locals refuse to discuss what happened after they announced their finding. Were they strong-armed into silence? Is this event part of a greater conspiracy? There are plenty legends about giants in the area. According to folklore, giants once inhabited the mountains and forests around Scaieni. In fact, huge thrones were found sculpted in the mountainside, in an area inaccessible to regular human beings. Legends tell that there are two gigantic underground vaults beneath the mountains, holding the giants’ ancient treasures. Could these vaults be real? If found, what stories would they tell? “Stop talking about the Bucegi [mountains]. Information like that must not be made public and there are certain structures that deal with cases such as this. You do not wish to know us, you don’t want to interview us. That’s all I want to say.” He then hung up and the broadcast was interrupted. Was this an orchestrated hoax or a live case of a threatening secret cover-up? Only the journalists know and they refuse to discus the subject. In an intriguing twist, the airspace above the Bucegi Plateau is a restricted no-fly zone. Many sources point to the CIA being involved. Incidents like these happen all around the world. 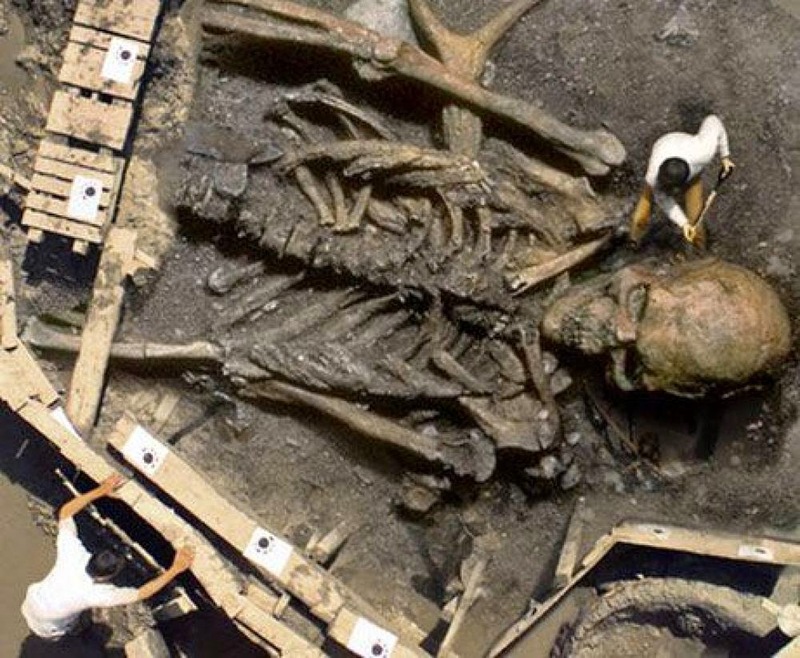 There is a distinct lack of physical evidence whenever people report findings of giant skeletons. Authorities arrive first, leaving behind hastily covered excavations, no artifacts and muted locals. One might think something really strange is going on.